We've helped countless clients and families who are dealing with the effects of brain injuries. We know that brain injuries impact every part of your life – from your health to your relationships to your finances. In some cases, these changes are permanent, and in many ways you must relearn how to live your life. This is a major adjustment for anyone, and without the proper support, finding your way through the time after a brain injury can seem impossible. Furthermore, unlike some injuries, brain injuries are "invisible," and the outside world may not understand the seriousness of what you're dealing with. 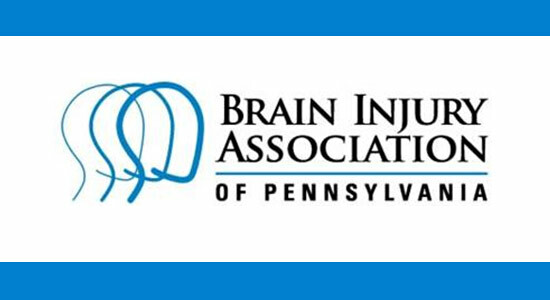 That's why organizations like the Brain Injury Association of Pennsylvania (BIAPA) are so important – they provide support, education, advocacy, and more for people whose lives have been affected by brain injuries. We're proud of the work that we do for our clients. It's our goal to help them sort through the aftermath of accidents that have life-changing consequences. We want to take away the weight of worrying about legal concerns, insurance issues, and financial burdens. We realize, however, that even though we'd like to, we can't solve every problem that our clients will face in the future. That's why we're proud to be a Platinum Level BIAPA corporate sponsor. We want to make sure the BIAPA's services are available to everyone who needs them. If you know someone who has sustained a brain injury, we encourage you to learn about the Brain Injury Association's programs and to take advantage of what they have to offer. Our law firm also has resources available for people who want to learn more about brain injuries. And, if you have any legal questions related to brain injuries, we're always available for a free consultation. There's no obligation to use our services – we'll just talk about what you're going through and your options. We want everyone who is dealing with a brain injury to know that there is support out there, and that people are standing by, ready and willing to help.